The story of our church is ultimately the story of people who have experienced the life, love and freedom found in Jesus. Each year at our church birthday we celebrate these stories by making a video. We hope you enjoy these stories here. 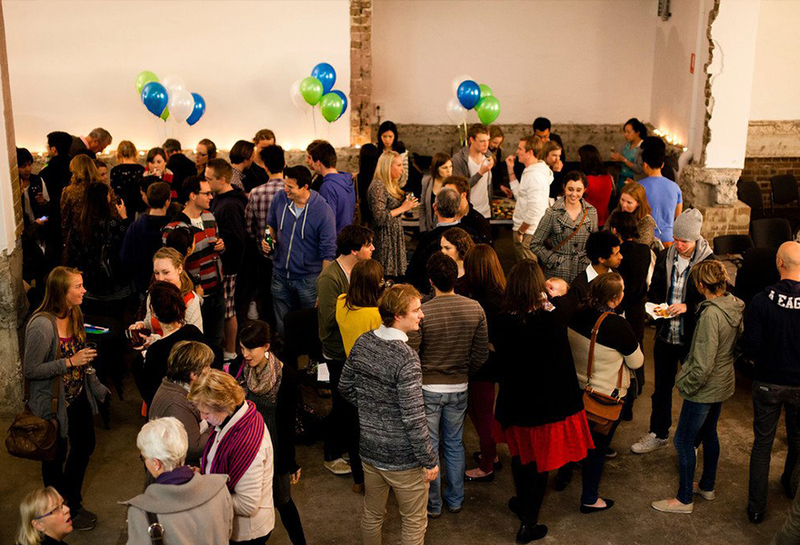 Vine Church started in 2011 when Toby and Liz Neal gathered a group of 16 friends to meet together as a church in one of Sydney’s least religious areas. They begun with the conviction that while inner city people are not interested in religion, Jesus Christ has not stopped being relevant. Since 2011, Vine Church has grown to be a vibrant inner city church known for it’s warm community life and its unique voice in the way it converses with our city about Jesus. In 2015 Vine Church and St Michael’s merged with a common vision to reach our city with the good news of Jesus. Our current double-barrel name reflects some of the complexity blended families experience when they commit to one another for a common purpose. 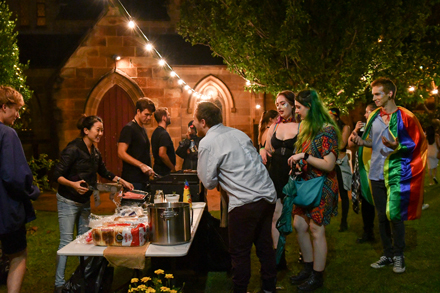 St Michael’s has 160 years of history in seeing God at work in Surry Hills. In 2004, the local historian Paul Egan wrote a history of St Michael’s titled, A Task Unfinished from which much of the following history is drawn from. St Michael’s is situated on the estate God gave to the Gadigal People of the Eora Nation. This people lived here for generations until the arrival of the British settlers. When they did come into contact with these new settlers their lives were tragically decimated by disease—mainly smallpox—and within eighteen months half of their people had died. St Michael’s began in the late 1830s the way all church begin – as a church plant! 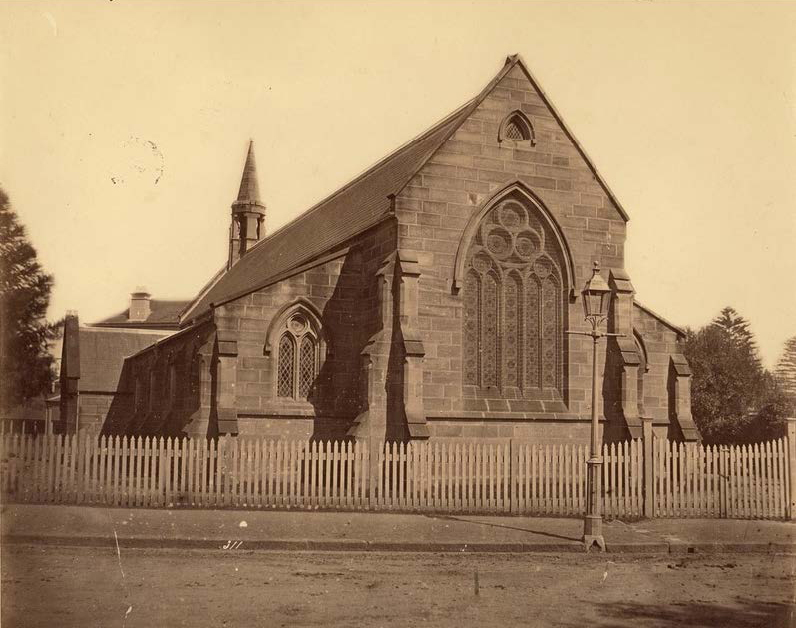 The first services were held in the Albion Brewery.2 Following this, the church met at a number of other locations including a school-house and the Darlinghurst Courthouse. In 1854, the church designed by renowned architect Edmund Blacket was built and dedicated as St Michael’s. Originally the church was to seat 450 people, showing the great vision for gospel ministry in such a highly populated area of Sydney.3 Sadly, these plans were later changed due to financial constraints and the smaller building was erected. 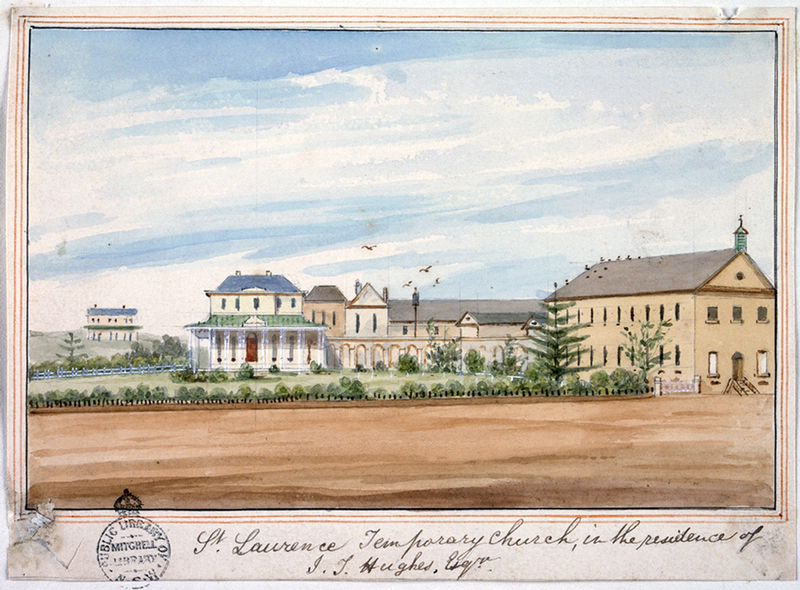 Nevertheless, as the population of Surry Hills exploded in the last few decades of the 19th century three additional Anglican churches were built (St David’s, St Simon’s, St Jude’s, and St Luke’s Chinese Church).4 With the decline in population density and church-going in the 20th century, each of these three churches were closed, and some of their property was given to St Michael’s. St Michael's Church 1871 attributed to Charles Pickering. Source: State Library NSW. In the post war years, St Michael’s began a Rugby League team, a cricket team and an annual boxing tournament as an outreach to young men. They gathered many guys and had famous personalities come and speak including Arthur Stace (the Eternity man), Judge Kenneth Street and Joe Jorgenson (Australian Rugby League test captain). 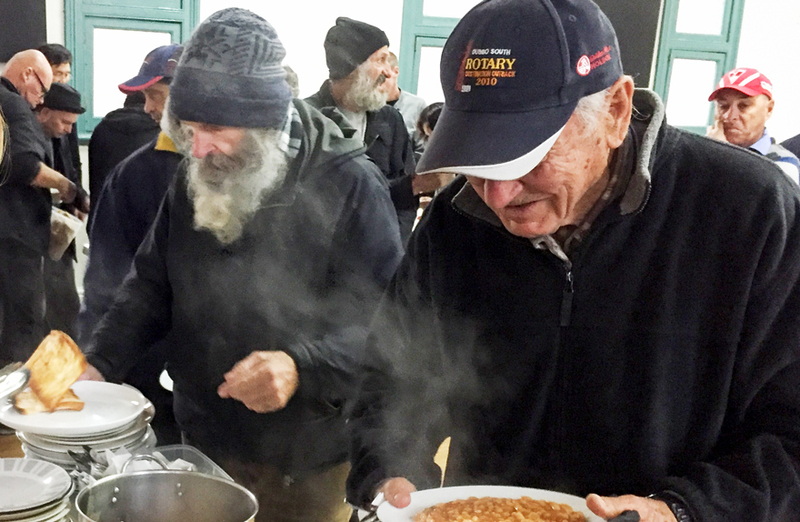 St Michael’s has always had a dedicated ministry to people living on the margins, and sometime in the late 1980’s, a weekly breakfast was provided every Sunday morning by teams of volunteers. This later became known as Bread of Life, and has provided almost 50,000 meals over the past 25 years. For the past 160 years St Michael’s has been at ‘the centre of — a fashionable, over-populated, slum, ethnic, and currently chic residential, area of Sydney.’9 It has fought the good fight of faith and continues to proclaim Jesus Christ as the only hope for life, salvation and peace with God. The history Vine Church, on the other hand, is much younger. 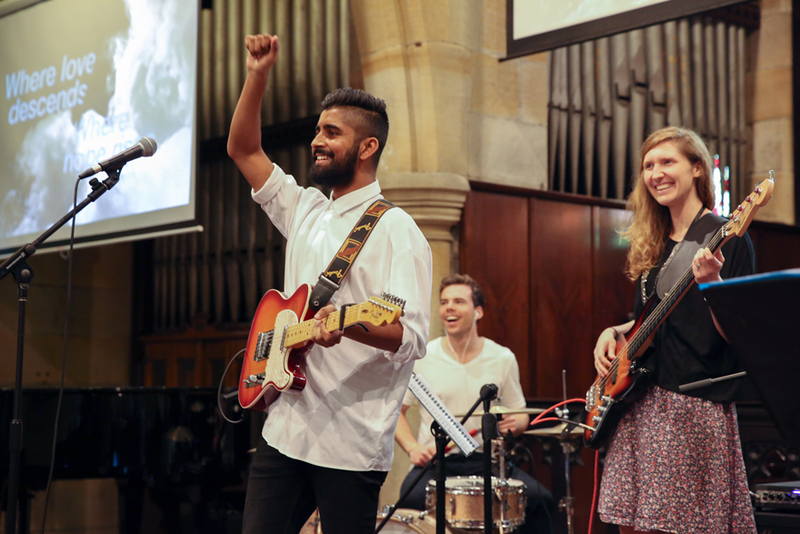 When Liz and Toby Neal first started planning to start a new church in Surry Hills, many people were pessimistic and urged them to find an easier place in Sydney — where people were more receptive to the gospel. Liz and Toby believed however that Jesus has not stopped being relevant, the Holy Spirit has not abandoned the church, the Father has not stopped desiring people be saved and the gospel message has not stopped being the power of God to save. It was that conviction that led them to begin a weekly Sunday gathering of 16 friends in November 2010 with the intention of it growing into a church. 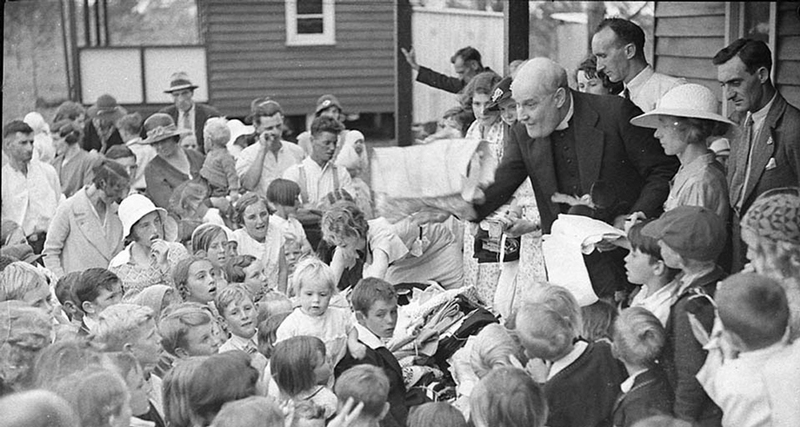 As with St Michael’s, the first services were held in a local pub, and then later in in a variety of locations including the Rydges Hotel, the Surry Hills Neighbourhood Centre, the Paramount Building, Sydney Boys High School, and Crown Street Public School. Over this time Vine Church saw God transform the lives of many people and giving them the life, love and freedom that comes from being connected to Jesus. 1 Paul Egan, A Task Unfinished: St Michael’s Surry Hills – A Short History (Surry Hills: St Michaels’ Church, 2004), 11. 2 Egan, A Task Unfinished, 19. 3 Egan, A Task Unfinished, 27, 31. 4 Egan, A Task Unfinished, chap. 6. 5 Stephen Judd, Sydney Anglicans: A History of the Diocese (Sydney: AIO, 1987), 196. 6 Egan, A Task Unfinished, 97, 100. 7 Egan, A Task Unfinished, 152. 8 Francis Chalwell cited in Joseph Smith, ‘Mardi gras marches into the light’, Sydney Anglicans, March 2, 2006, Cited 10 Mar 2016, Online: http://sydneyanglicans.net/news/emmanuel_at_the_mardi_gras. 9 Egan, A Task Unfinished, 19.